We are very happy with the tour in India. We liked the places and Max Holidays made our travel more comfortable and enjoyable. All your representatives were perfect and most helpful. Our special thanks to Mr. Vishal Gogia for arranging such a wonderful and most memorable tour of India. We will come again and surely recommend your name to our friends who ask us about India Tour. We were met on time at Delhi airport, with ease. The transport was roomy with a happy driver. We met with the representatives of Max Holidays at the places we went and the staff is very professional, and polite. Everything was satisfactory and as promised. We were met by your staff at the airport on time and he gave us very warm and friendly welcome to India. The documents for our onward travel were given to us in a very professional manner. The paper work was extremely thorough and documented. The hotels were excellent. We met with excellent guides, very knowledgeable and had a good sense of humour. The flight journey in India was pleasant. Last but by no means least, the great driver of the Company was an absolute to delight to be with, and we were always greeted by his smiling face. His driving was remarkable and his knowledge on the car’s air conditioning was brilliant!! Overall, we enjoyed ourselves so much that we would like to visit India again and would certainly book our next trip with you and have no hesitation in recommending Max Holidays to our friends and family. We wish you all the best and look forward to meeting you next time. This trip to India involved so many first's for me that it is hard to evaluate since I have no frame of reference for comparison. It was my first trip alone, first trip so great a distance, first trip not as part of group charter. Max Holidays provided an excellent overview of India and it's modes of transportation. It was only after being in India that I realized how unusually good the service was. I did get an enormous sense of the political and social influences affecting India, especially in the eastern Himalayas, where Nepal, Bhutan, Bangladesh, Tibet and China are a conduit for "Western ideas". It is a week after my trip, and there are still too many images swirling around in my head to rationally evaluate the trip. In summary, your company took care of the travel arrangements and let me enjoy a "mind-expanding experience". We are both back safely and happily. The tour was very good and all your staff, guides and drivers performed very professionally. Everything was on time and not substituted. Your suggestions for flights and trains were good ideas and reduced the hours on the roads. Thanks for everything. I am delighted to inform you that we had a wonderful holiday and in India we were satisfied and impressed with your services. You did a great job. Your good arrangements took all stress away from our trip, being met by your representatives everywhere was especially appreciated. We found the driver well mannered, honest and helpful and he added to the enjoyment of our trip. The tour guides were patient and did an excellent job. Thank you very much for your help. We will recommend your services to all our friends and family that are considering a holidays to India. Sorry for not having given to you the feed back after my tour in Rajasthan you’re your driver Narender. I totally forgot, but I can ensure you that everything was perfect and well organized. We have had a great time. My friends Magali and Cecile who travelled with your Company with my recommendation are also pleased with your services. They also enjoyed the trip to Rajasthan. We have been very happy with Max Holidays. Thank you very much for your good services. We appreciate you help in organizing a successful group tour to India. We are thankful to max Holidays for everything. On behalf of my wife and myself, I would like to thank you for the wonderful trip you have organized for us in India. We enjoyed very much for your services, the wonderful and pleasant driver with a good car for our trip, the good hotels and also for your being ready always to help us for our requirements. 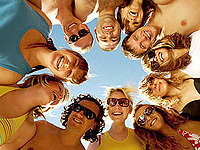 The team of Max Holidays has arranged a wonderful and comfortable trip for us in India. 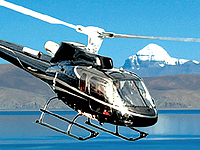 We are happy and satisfied with the class of services provided to us in India by your team. We intend to visit India again and will prefer Max Holidays to arrange the tour for us again. Thanks for organising the fantastic trip for us and our family. We all thoroughly enjoyed the places. We had a great time in India. Thanks to your organization! The hotels too were very good. I Just wanted to thank the staff of Max Holidays India, for being well organised, efficient, friendly and making our trip to India a pleasant and enjoyable experience. We are impressed by the services provided and will be making use of your services in future, thanks once again. My best regards and wishes to all your team. I had spoken with the group members and they all were happy with the arrangements that you made for them in India. Thank you. We are back home safe and sound. We I can't tell you how pleased I am to go through your flawless and wonderful services and arrangement. Everyone in the group was happy throughout the tour to your great country. Especially I want to thank Mr Amit Tiwari who is a big asset to your company and he smoothed the wrinkles of our trip. Please greet him and thank him on my behalf. I do keep your name as my contact in India for special trips like this. Many thank for your kind arrangements for the journey of Ms. Sawako who visited to India with you with my reference. She has informed me that she was extremely satisfied with the travel arrangements made by Max Holidays in India. She has appreciated your services for very good care, taken by all your local representatives, staff, guides and drivers. I thank the team of Max holidays for being wonderful. Thank you very much for your good services to the group in India. Mr. Ansarifard and all other group members are happy because the services were good and perfect for Iranian tourists. Thanks again and wish you good luck . The hotel, transport and guide services were very good and we liked the tour to India very much. Thanks you Max Holidays.